Many designers this century have drawn inspiration from the German advant-garde commercial art movement that flourished briefly in the 1920s before being stifled by political forces after 1933. But post-war accounts of the phenomenon, written mainly by art historians, have tended to focus on innovations by artists who were only occasionally involved in graphic design. Although such artists undoubtedly stimulated new ideas which could not have come from within the profession, their role has been overplayed at the expense of a number of important commercial graphic designers. As a result, the New Typography of the 1920s has usually been represented by a handful of posters, advertisements, book jackets (rarely whole books), one or two publisher’s logos, and some brochures and commercial literature, as documented in Jan Tschichold’s Elementary Typography (1925) or Heinz and Bodo Rasch’s extraordinary anthology, Gefesselter Blick (1930). 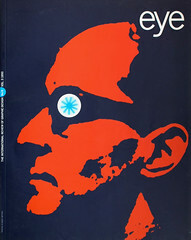 Such publications have almost inevitably overlooked the work of Max Bittrof, a young man who produced a large number of graphic works for the car manufacturer Opel, creating for a company fully in step with the times an integral corporate identity and building up a coherent and extensive body of work – something the artist-designers, who lacked commissions, were unable to achieve. Max Bittrof was born on 27 November 1890 in Frankfurt an der Oder and trained at Krefeld and Wuppertal-Elberfeld, where he combined evening classes with an apprenticeship in lithography and printing. He settled in Frankfurt am Main in 1920 and soon became one of the established graphic artists in the Rhine / Main area, designing posters, wine bottle labels, tobacco advertisements and book jackets. He was one of the co-founders in 1923 of the German Association of Graphic Designers (BDG), which still represents the professional interests of designers in Germany today. The BDG helped the newly defined profession to gain recognition through a series of self-assured campaigns, many of which Bittrof orchestrated. Bittrof’s designs for Opel were produced between 1927 and 1929 (it is impossible to date much of the work more precisely because the Opel archive in Russelsheim was destroyed during the war and Bittrof’s own records are fragmentary). His work appeared not only in Germany but throughout most of Europe, with full-page advertisements in the major newspapers and magazines. Once Bittrof had ceased to be involved, Opel’s advertising became simpler and more anonymous. Later campaigns reproduced idyllic representations of middle-class life with cursive text – insignificant themes for mass consumption. The late 1920s saw the beginning of a new era, with advertising moving away from posters with symbolic graphics and new forms of design being created throughout Europe. Bittrof was well aware of the Modern Movement (he used Marcel Breuer’s Wassily chair and the Thonet Freischwinger, for example), but knew little about its theoretical basis. At a time when traditional German design was typically elaborate, his work was objective, minimal, and prolific – quite an achievement, considering that the new design aesthetic did not necessarily correspond to the tastes of the ruling classes – although far removed from what we might think of today as strong corporate design. Bittrof’s work for Opel contained recurrent formal elements, but lacked the reductive strength of today’s corporate identities. He tended to work with elementary forms, introducing variety by means of pictogram-like illustrations. The design always proceeded from a visualisation of the context and text and illustration were composed as an integral whole – today, using the term coined by 8vo, we might call this ‘visual engineering’. The text was composed in both drawn and ready-made typefaces, set justified, using slightly varying typesizes, light and bold faces, rows of capitals, and diagonal and curved lines. There were no available typefaces suitable to express the elementary conception of the new design, so along with other designers Bittrof drew or constructed forms that corresponded to his ideas. The mood of the time demanded a new typeface, and in 1928 Paul Renner (who otherwise had little to do with the New Typography) created Futura. Many of Bittrof’s Opel designs are clearly part of the New Typography – as some contemporaries observed (the magazine Gebrauchsgraphik carried a fourteen-page article on Bittrof in its December 1928 issue, in parallel with an article of similar length on El Lissitzky). Bittrof saw himself as a professional graphic designer, not as an artist or campaigner for a better world. He did not belong to the Bauhaus circle and was not inspired by the idea of promoting social change – in contrast to Tschichold, who changed his name to Ivan in a first flush of enthusiasm for the Russian Revolution. Bittrof saw his role as being to communicate a message to an audience by means of design; his work was not, in his eyes, an autonomous artistic process. To work in the new style, he had to distance himself from the techniques learned during his appenticeship, though his knowledge of traditional skills also helped him to develop new forms and techniques of presentation. He was meticulous in the production of artwork, specifying precisely every last detail of a book jacket or advertisement. The flowering of the New Typography was brief. When the Nazis came to power in 1933, they effectively waged a total war against the new culture. Though some of the party literature was designed in the new style, this was not so much a deliberate policy was the result of ignorance. For a while, interesting projects were still planned (by Kurt Schwitters, for example) and certain stylistic devices were still used (sans serif, slanting faces), but the creative period was over and further development was impossible. There was no public opposition to the aesthetics of Nazi Germany, so the most artists could do was to try to stand clear of the tidal wave of folk motifs. The changes are reflected clearly in the form and content of Germany’s foremost ‘lifestyle’ magazine, Die Neue Linie. From 1929 to 1937, its cover featured the work of leading designers of the day. Until 1933, these included Moholy-Nagy, but he was soon superseded by Willy Baumeister (stylised nature, until 1935) and Herbert Bayer (heroic / surreal figures, until 1938) – a stark contrast to the experiments of the Bauhaus period. Unlike the designs of many of his contemporaries, Bittrof’s work was never abstract, partly because of the nature of his clients and party because he had so little exposure to abstract art (he painted some awful watercolours in the 1940s, and only in the late 1950s created a series of abstractions influenced by German informalism). He designed a Gothic typeface, Element, manufactured by the Bauer foundry in 1934 – an indication perhaps of the readiness of German society to embrace folk values. It is small consolation that Element was the first and only constructivist Gothic face and not the homage to handicrafts from Offenbach or scroll-like script from Leipzig that were officially encouraged by the state at the time. A few years earlier no one would have dreamt that such a significant New Typography designer would produce a Gothic typeface; just as no one could quite believe, a few years later, that Tschichold would slide into a veneration of the past inspired by English classicism. Some of Bittrof’s most important and influential commissions came after the Second World War: for example, he was responsible for designing many of the first stamps and banknotes of the West German state. He worked for a large electronics firm (Telefonbau & Normalzeit, Frankfurt) from the beginning fo the 1930s to 1968 and a number of his packaging and poster designs for cigarettes survived the changing times; one package is still in use today. From 1960 he taught graphic design at the private Westend school in Frankfurt, founded by his friend Carlo Ruppert, where he proved an inspiring teacher. Max Bittrof’s work shows how graphic design in Germany developed to conform with changing political and cultural conditions. His influence on the development of commercial graphic design has been considerable, thanks to the high quality and wide dissemination of his work. An important pioneer of German commercial graphic design, his historical contribution his only now beginning to be sufficiently recognised.